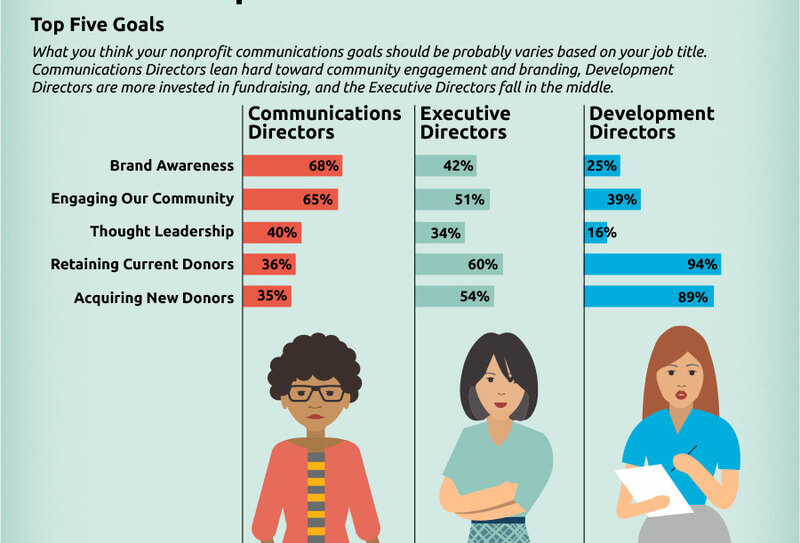 Nonprofit Marketing Guide Each year Nonprofit Marketing Guide surveys the sector to determine trends in nonprofit communications for the coming year - with an accompanying infographic designed by Stone Soup. 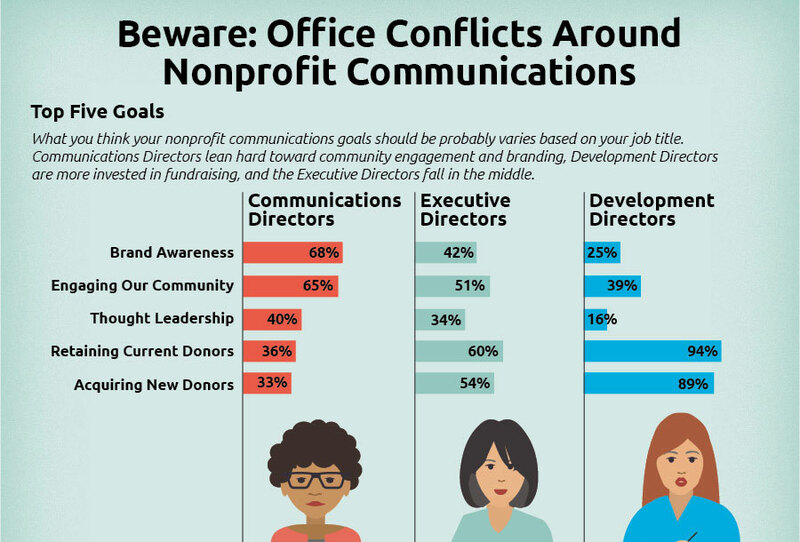 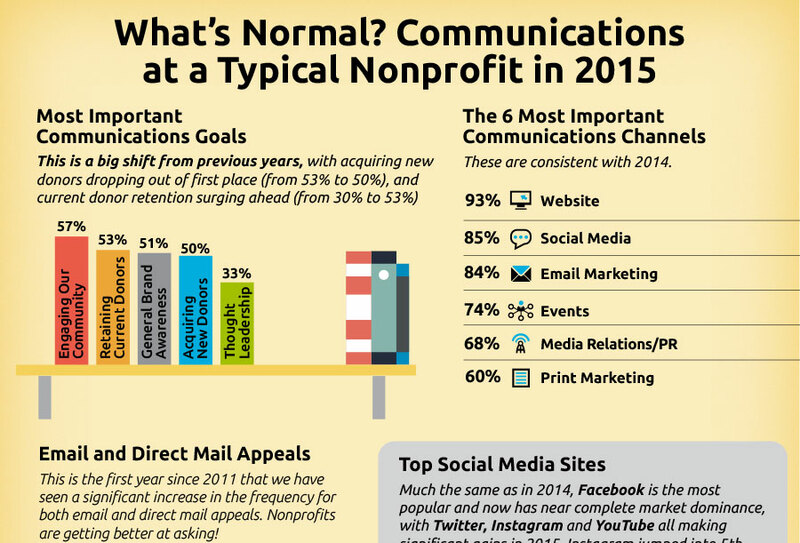 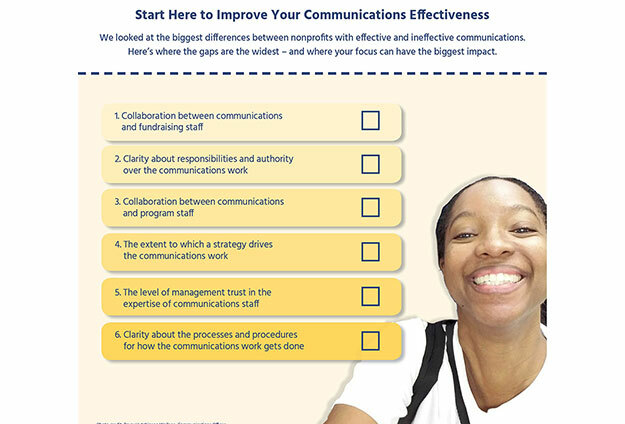 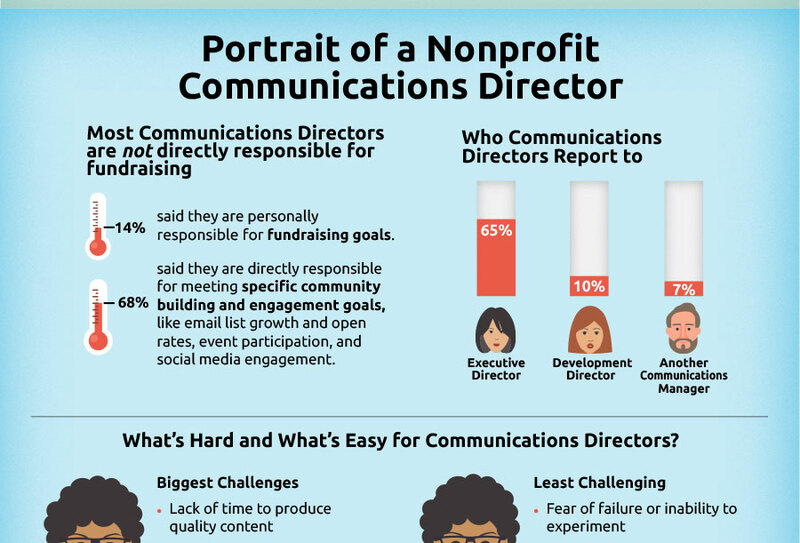 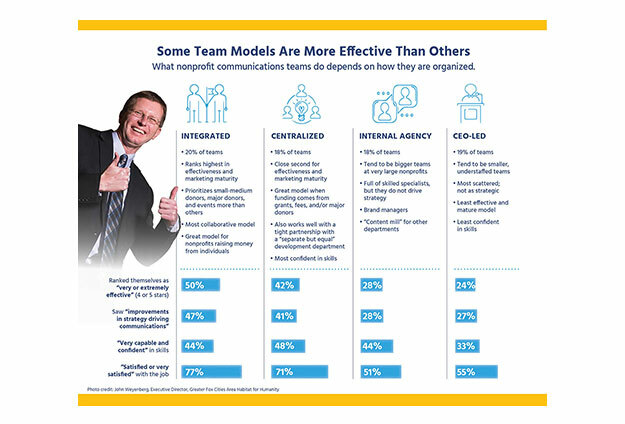 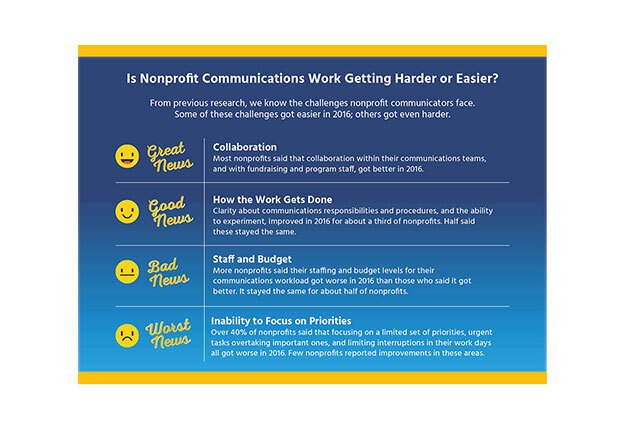 If you have questions about what other nonprofits are planning each year in terms of communications, the Nonprofit Communications Trends Report is a tremendously useful resource. 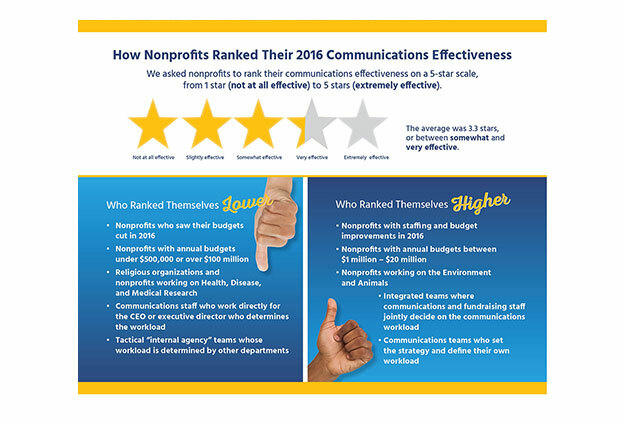 Each year nonprofitmarketingguide.com – a well-regarded online resource for nonprofit communications professionals – surveys the sector to determine trends in nonprofit communications for the coming year. 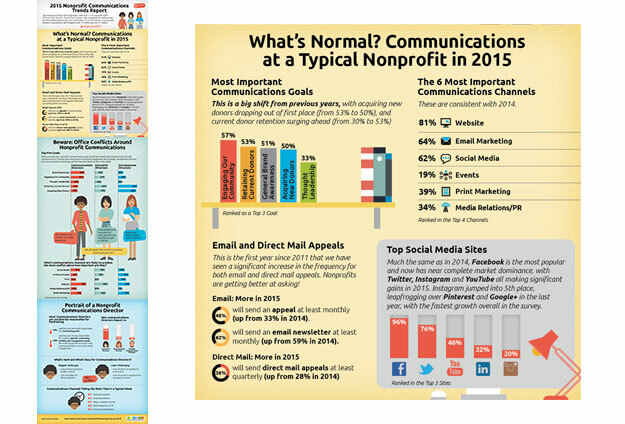 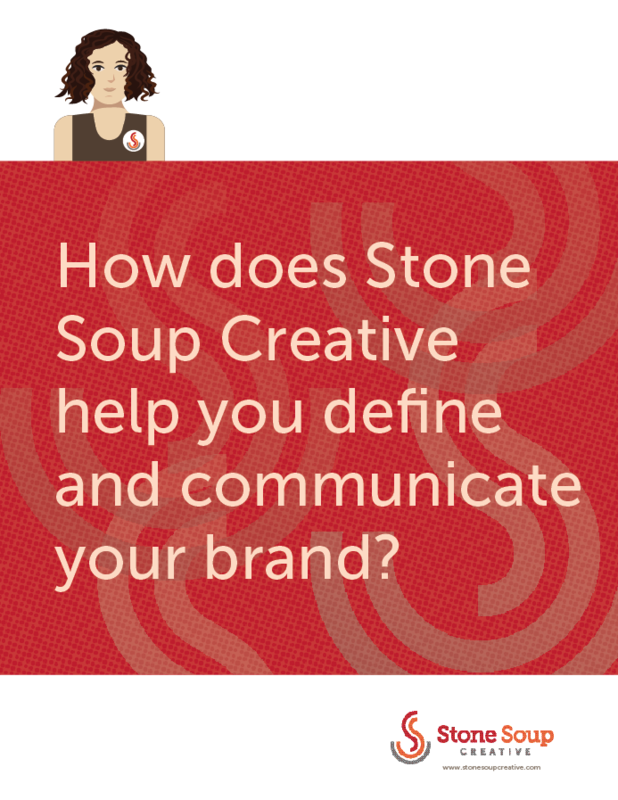 Stone Soup Creative designs the infographics accompanying the reports’ key findings. 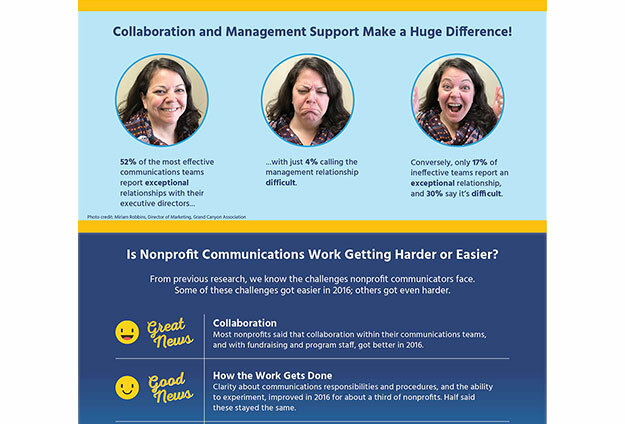 We used real photographs submitted from communications and fundraising teams that participated in the survey. 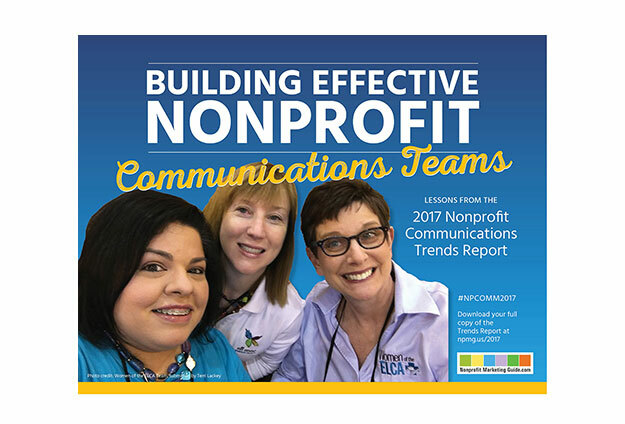 Download the full 2017 Nonprofit Communications Trends Report. 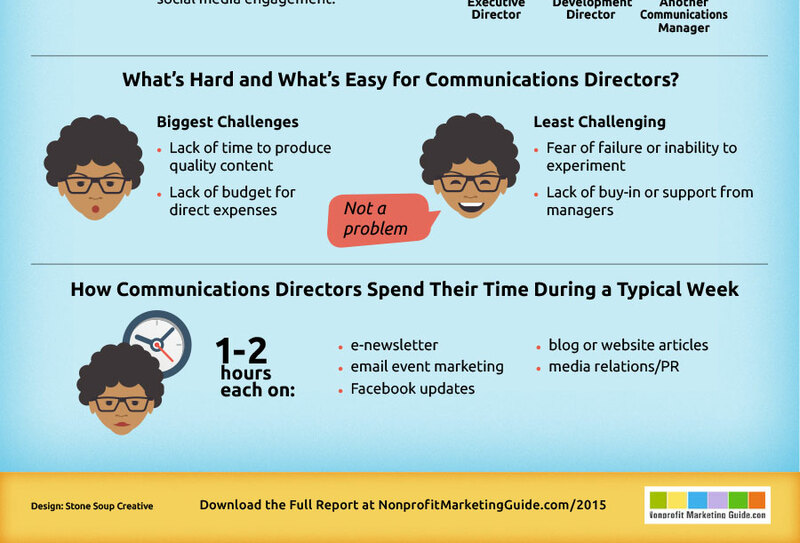 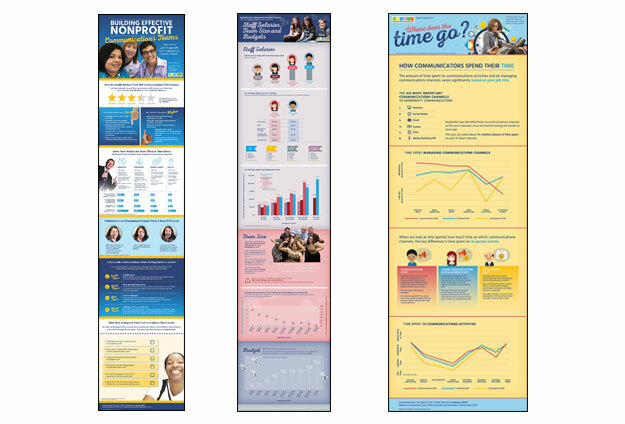 Visit Nonprofit Marketing Guide to download each report for free, and see the full-size infographics on Facebook, Flicker and Pinterest.